Shaken By Fear, Kate desperately tries to keep her life’s secret hidden from the world. Her ability to locate people near or far has been an immense load to bear. 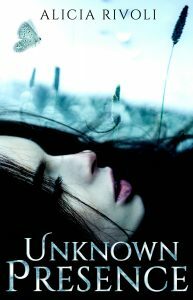 An unknown leak has caused her to flee everything she knows and loves in order to protect herself and her family. While on the run she finds herself stretched across the globe, traversing the open ocean and even the jungles of Panama. Her ability to stay ahead of her pursuers, good and evil, leads her down a dangerous path. As her brother, Jack, a world-class tracker, tries to locate her, she desperately tries to free herself from her past with the hope of starting anew. Relying on others will test the limits of her strength and have her questioning past decisions she thought were secure. Will she be able to survive on her own or will she need the help of a stranger who seems just a little too eager to discover her true identity? Join Kate in her quest to regain her freedom as she encounters those who want to help and others who would use her gift for personal gain.